Comfort food at its finest. This wasn’t tonight’s intended dinner, I was planning a lovely Harissa Griddled Chicken but when I opened the Chicken there was a slight pong off it even though I’d just bought it & it was well in date but don’t take risks with Chicken, if in doubt throw it out. Don’t ever take a chance with white meat or fish. There’s a slight chance it might have been left to the side at the tills for a while in the heat & then popped back in the fridge – dangerous! Anywho this is a quick rescue dinner as I’d (thankfully) picked up a pack of mince (just in case) with no real intentions for it. 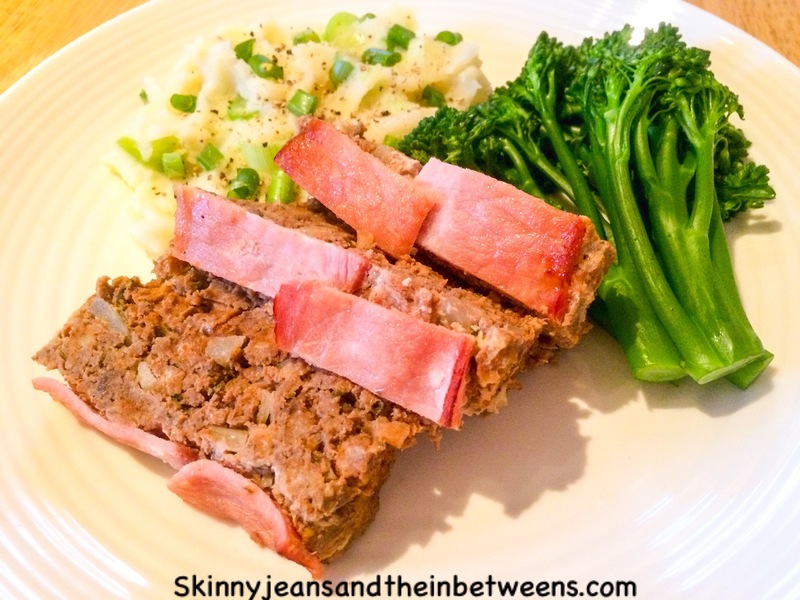 Meatloaf is the ultimate in comfort & you can’t really serve it with anything other than gorgeous mashed potatoes. 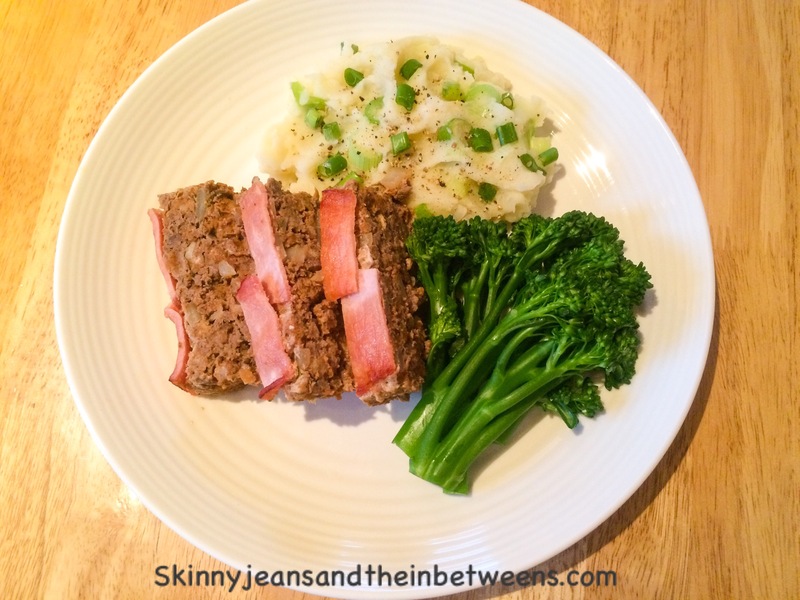 Serves 4 at 9pp for the lot or free on the Filling & Healthy plan. Friday Nights were made for this! Tear the bread into small chunks into the mince in a bowl. 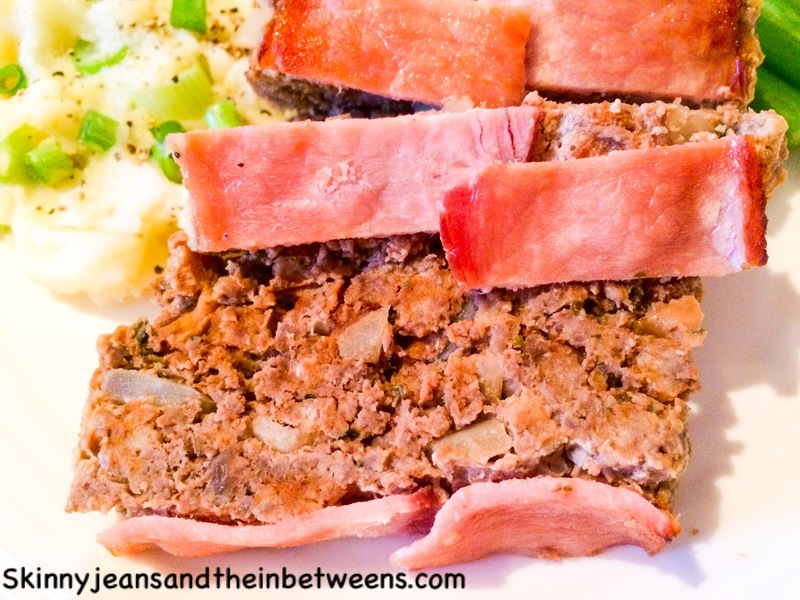 With a light hand mix the 2 together (if you smush it too much it will become dense) add the rest of the Meatloaf ingredients except the bacon & lightly mix. 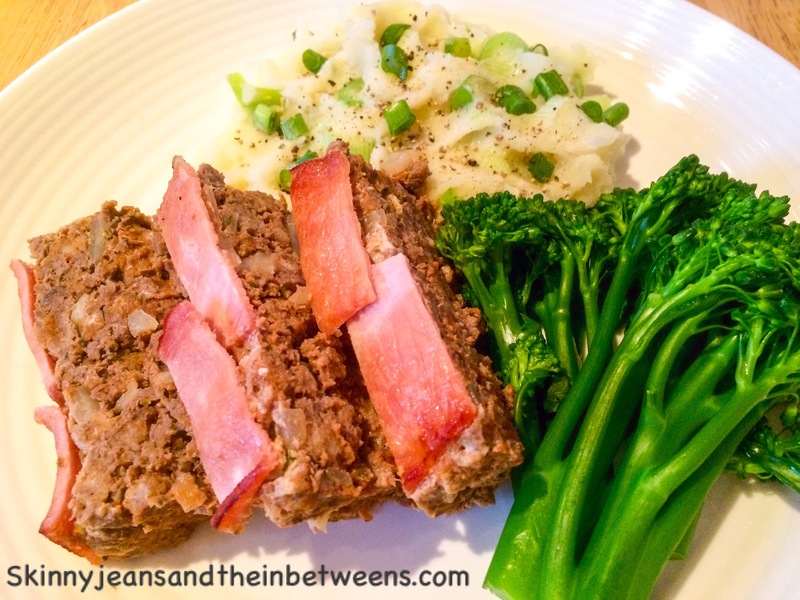 Place in a 1lb loaf tin (I use a silicon one, if it’s metal spray it with sprayoil first) lay your bacon medallions in the top & bake for 40 minutes in a preheated oven at 200c for 40 minutes. In the meantime peel & steam your potatoes until soft. Mash with the milk & salt & pepper & fold tbrough the spring onions. Lightly boil your Tenderstem broccoli for a few minutes. 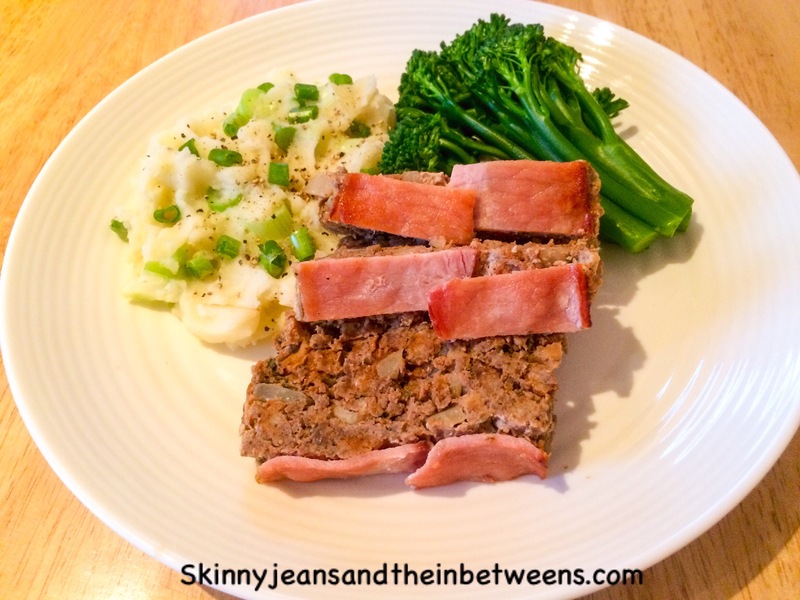 Slice the meatloaf, serve with the mash & meatloaf & enjoy!